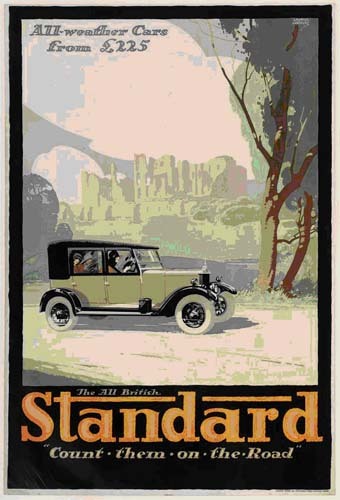 Extremely famous poster artist who amongst his portfolio completed several motoring works. Austin Cooper was born 6 March 1890 in Souris, Manitoba, Canada, son of an Irish farmer. Returned to the UK and settled with his family in Cardiff in 1896 and he studied at Cardiff School of Art; won a scholarship to the Allan Frazer College of Art, Arbroath, where he studied 1905–9; then settled in London and attended evening classes at the City and Guilds School, Kennington, under Innes Fripp. Returned to Canada and worked as a commercial artist and interior decorator until 1915 when he joined the Army; after war service in Flanders returned to Canada and finally settled in London in 1922. 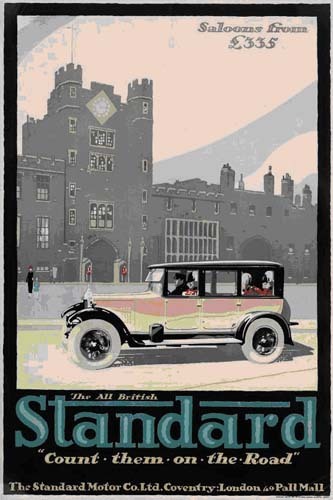 Worked principally for London Transport as a poster designer until 1943. After the war he began to paint fine art including abstract. First one-man exhibition at the London Gallery 1948 and in Paris at the Galerie Craven 1959; since 1955 has exhibited at Gimpel Fils.